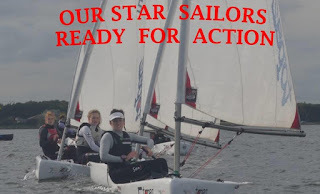 On Friday 16th October, a group of Loreto students participated in a sailing competition in Malahide. They had a wonderful time and received a multitude of awards for their great efforts. 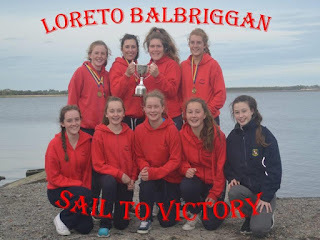 The Loreto sailing team was split into two groups and out of the first group, six people went on to the next stage. The second group went out to sea and also managed to put forward six people for the next stage. These top six people from each group raced each other while the rest of the participants did some sailing with other Loreto students. At the end of the competition there was a prizegiving to acknowledge everybody's efforts. Alix Buckley and Sophie Callendar are two Transition Year students that took part in the sailing with Alix Buckley winning 2nd place overall. The Loreto team also took home the first prize as a school. The team had an exciting time and look forward to their next competition.